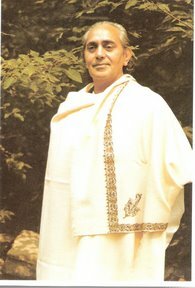 Swami Rama was a fully enlightened Master in the ancient Himalayan Lineage of yogis, who, in their high initiations, confer direct experience into the mystery of consciousness. The yogis of our Lineage are the founders and the keepers of Shri-Vidya, the science from which radiate all paths of yoga and meditation. 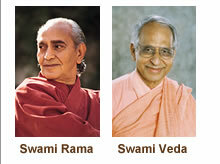 Swami Rama's deep love for the Himalayan Yoga Tradition was reflected in his life and his work. He contributed materially and spiritually to the lives of millions of people all over the world. 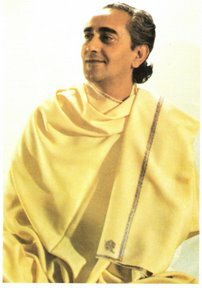 In 1970, Swami Rama offered himself for experiments at the Menninger Foundation where modern science was used to confirm the ancient wisdom that a yogi can have amazing control of the autonomic nervous system. Swami Rama made significant contributions to science, philosophy and literature, including an inspiring account of his experiences with the great teachers who guided his spiritual development. Having reached the heights of spiritual enlightenment, he also strived with seeming endless energy to attain perfection in his actions in the external world. His life embodied the human potential to live in the world, yet remain above. His teachings and inspiration are the foundation of the Himalayan Yoga Tradition's Teacher Training Program. As Swami Rama prepared to leave his body in 1996, he left strict instructions to build no memorials, establish no shrines, and do nothing else to commemorate his name. His memorial today is in the hearts of his disciples and students who carry on his work. What is most remembered about him is his great love for all and the magnetic power of his spirit, such that as he walked, one felt pulled to follow behind him. The full impact of his spiritual legacy will be realized perhaps in a century. HYT-TTP is the official Yoga Teacher Training organization of AHYMSIN, the Association of Himalayan Yoga Meditation Societies International.